A soft, tapered brush that allows for accurate placement of powder or cream shadows into the crease of the eyelid. Sweep color into the crease of eyelid using a back and forth motion. These are some of the best brushes around! I've been using them for many, many years!! I recently purchased and refreshed all my very old sets with the new nicer looking ones. I just couldn't bear to throw away my old ones tho...these brushes last and stand the test of time!!! I've tried several crease brushes; this one wins hands down because it enables you to precisely apply shadow exactly where you want it - in the crease only. 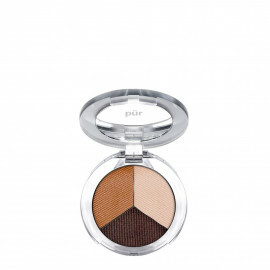 It's extremely soft and fluffy making it easy to blend the eye shadow. Worth the money.